It seems like everywhere I look, there is something pink reminding me that this is National Breast Cancer Awareness Month. 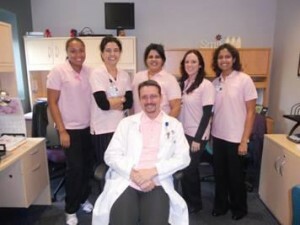 Throughout CHC, staff members have been wearing Pink and our Early Detection Program has been doing a great job encouraging people to get tested early. Yet there are many more health issues we need to be aware of. October is Domestic Violence Awareness Month. New Horizons Domestic Violence Services, a program of CHC, has been running several different events to raise awareness of domestic violence. 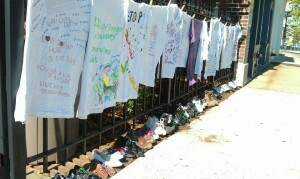 On October 7th, New Horizons organized “The Clothesline Project” and “Walk in Our Footsteps” in Middletown. This included t-shirts decorated by victims of domestic violence and children’s shoes representing children in the community who are victims of domestic violence. Then, on October 18th was “Purple Tie Tuesday” as a day in Connecticut for people to wear purple to raise awareness of domestic violence. 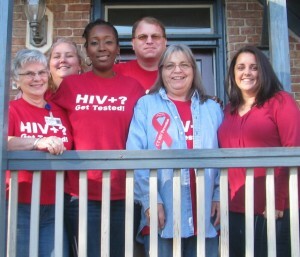 Today, staff from around CHC are wearing red as part of National AIDS Awareness month. There are many different days that are observed to promote HIV and AIDS awareness and testing from National HIV Testing day on June 27th, through World AIDS day on December 1st. 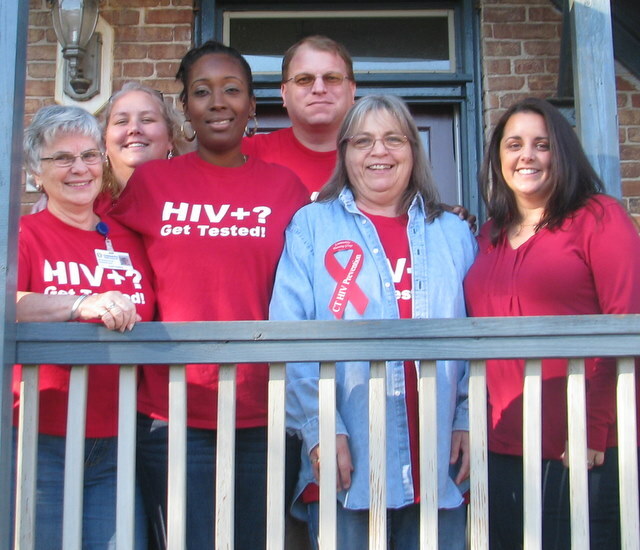 October was declared National Aids awareness month in 1988 by President Reagan and it continues to be observed today. When I first started thinking about writing this blog post, I expected to stop there. I was well aware of Breast Cancer, Domestic Violence and AIDS awareness months. 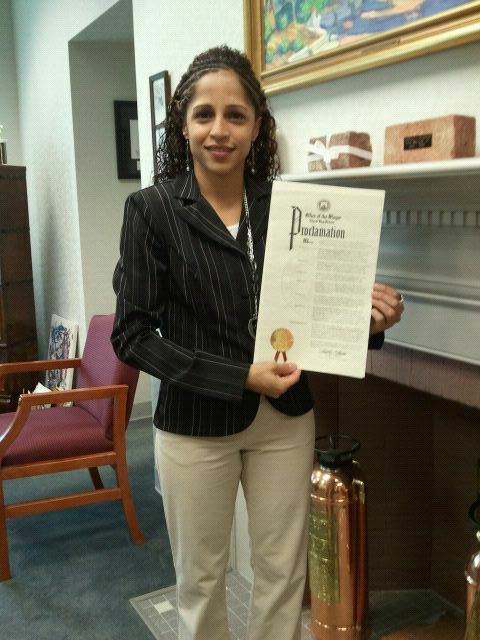 However, I received an email with a picture of one of our New Britain receptionists, Yaritza Mendez, with a proclamation about October 23rd being Gastroparesis Awareness Day. I must admit, I was not aware of gastroparesis until I received that email. Gastroparesis is a disorder in which the stomach takes too long to empty its contents. This is often caused by damage to the vagus nerve and can be caused by diabetes as well as other causes. Yaritza will be participating in a gastroparesis walk on Sunday at Walnut Hill Park in New Britain at 3 PM. Besides raising awareness, the walk is raising funds to try and find a cure. People are wearing blue jeans to work and contributing to the effort. So, choose a color and find out more about various health issues and what you can do to help raise awareness.